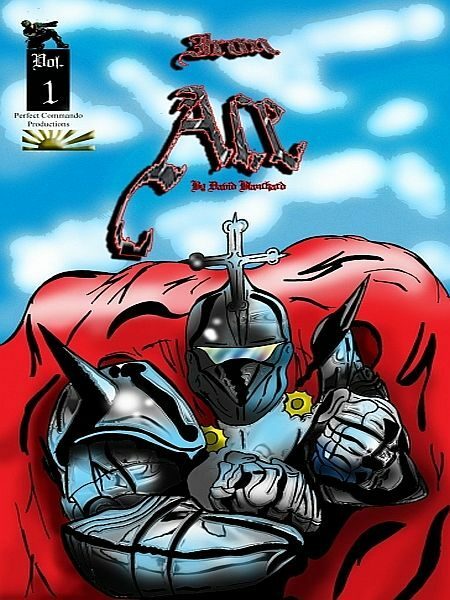 In the ancient days of knights in armored combat lived a warrior whose sole purpose was the protection of France, the Iron Ace. Just before his death he vowed to return if evil should ever threaten the country again. Now in 1942 R.A.F. pilot Captain Ronald Britain has been shot down over Nazi occupied France. On the run from enemy forces, a resistance member finds him and takes him to the castle of the inventor Dr. LaFarge. Where he finds the Iron Ace’s armor, is told of the legend, and devises a plan to resurrect the Iron Ace. Part of the Golden age Revival- Golden Age Revival Project is a product line utilizing the superheroes and other early comic book characters that are all but forgotten in new original works spanning across the various imprints of Perfect Commando Productions. Otros ebooks de David Blanchard.